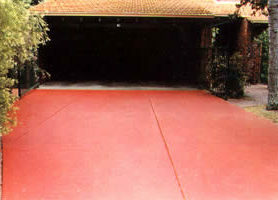 HARDPAVE paving paint is a single pack water-based coating which cures into a non-toxic film and offers a non-slip floor surface for a range of applications, including a wide variety of floors, garden paths, patios, and even some types of driveway. 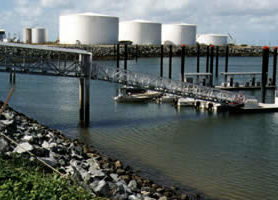 Other applications include shower surrounds, platforms, walkways, ladders, etc. 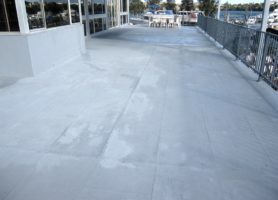 HARDPAVE differs from EASYTREAD in that it contains a very fine but hard anti-slip particle which contributes to a tough wear-resistant finish. 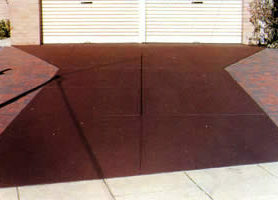 EASYTREAD on the other hand, contains a resilient and compressible anti-slip particle with a larger particle size. 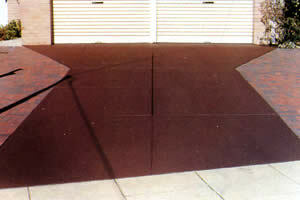 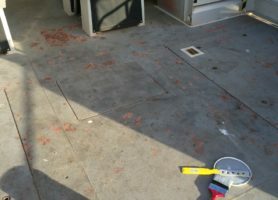 Both products are “ready to use” and do not require the use of messy and time-consuming grit spreading. 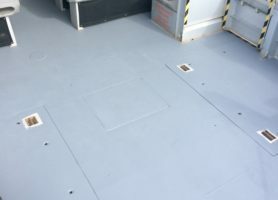 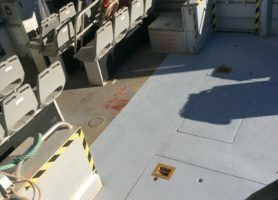 The products are also ideal for surfaces which may flex slightly (such as wooden decking and floors) and can tolerate the presence of water, including salt water. 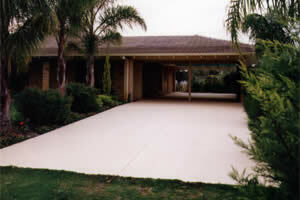 HARDPAVE may also be used in hospitals and retirement homes, etc. 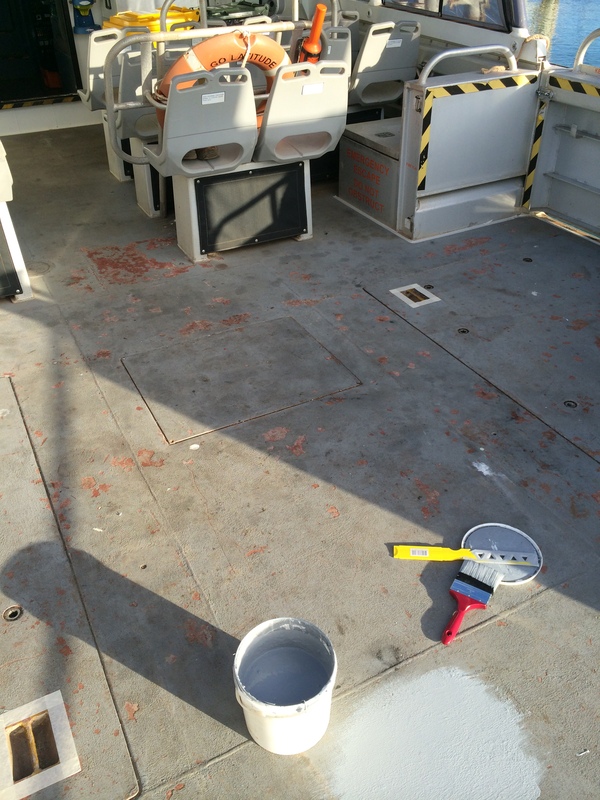 since no toxic or offensive fumes are emitted and the products are quick drying. 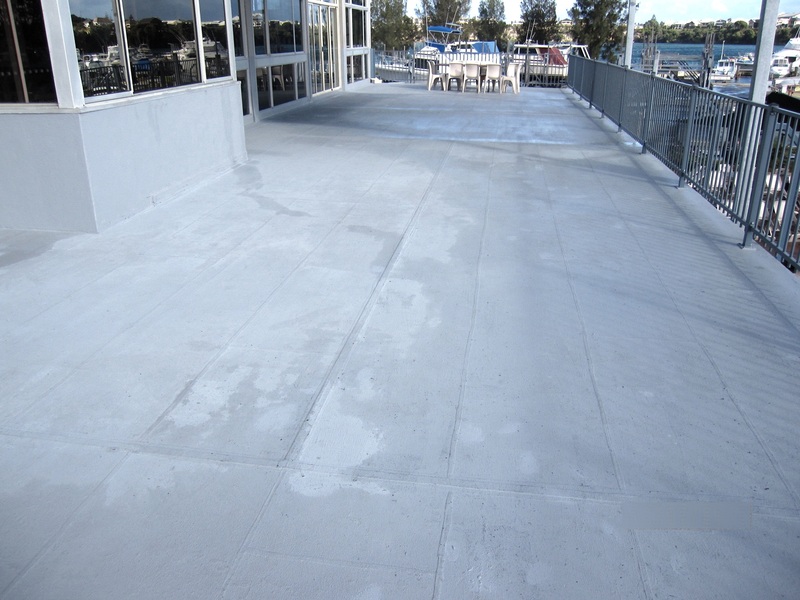 The coating is based upon a high performance acrylic polymer emulsion which dries to a firm and even film. 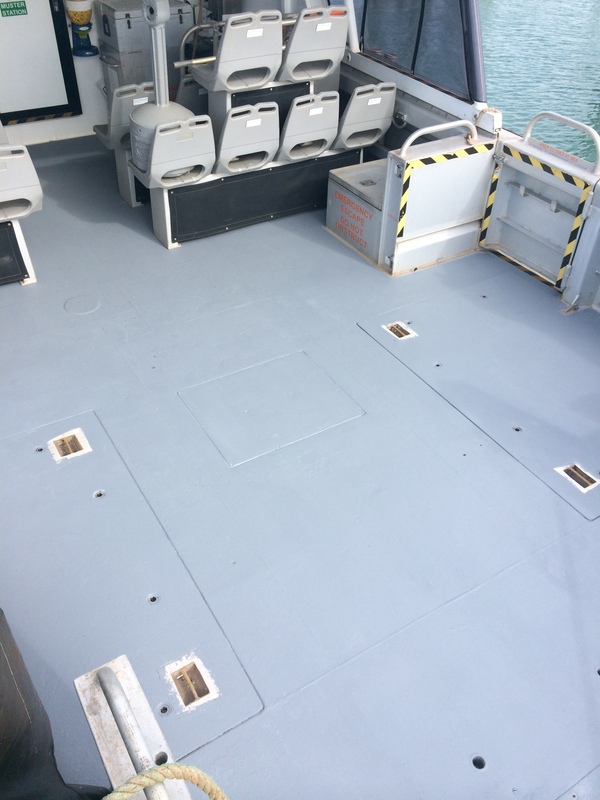 The high molecular weight of the base polymer contributes to the strong pigment binding power of the coating, as well as providing an excellent toughness and durability, combined with a superior adhesion to metals, fibreglass, concrete, wood, etc. 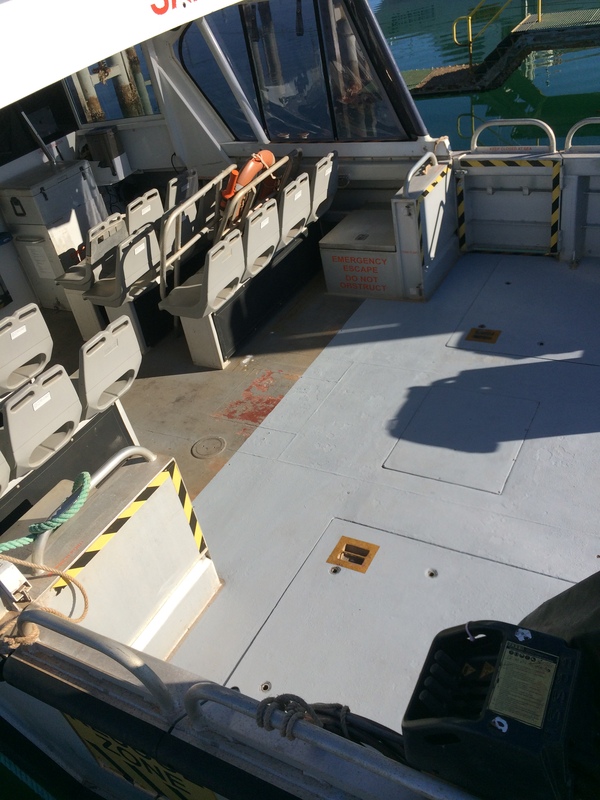 The product gives off no fumes or objectionable smells and is pleasant and easy to use, even in confined spaces. 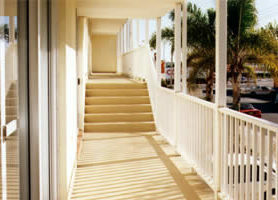 Beige HARDPAVE on hotel steps and walkway. 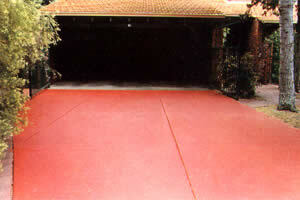 Light Grey HARDPAVE on double width concrete domestic driveway. 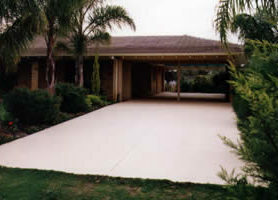 Driveway in mission brown HARDPAVE. 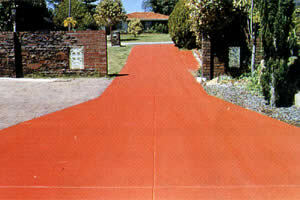 Driveway in terra cotta HARDPAVE. Driveway in ferric red HARDPAVE. 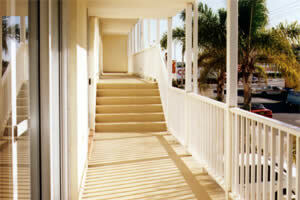 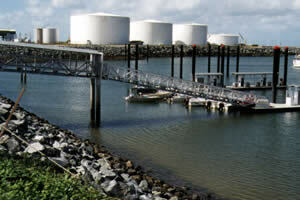 Marine access walkways coated with HARDPAVE for all weather safety.